Marketplaces and prices shown matched UPC number 647213616118 during our search. The Mediator core blaster fires 6 darts in a row with pump-action, clip-fed blasting. The clip loads into the side of the blaster and holds up to 6 Elite darts. The barrel converts to blaster that features pressurized 3-dart blasting. 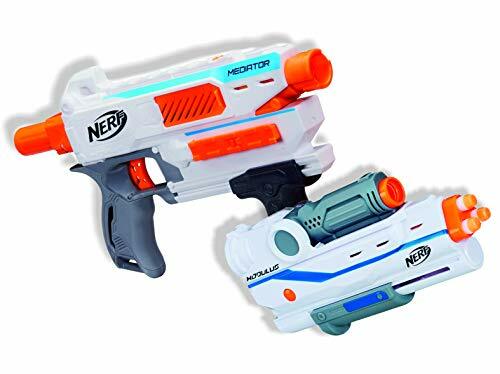 Flip the handle to go from barrel to blaster, pump to prime the blaster, then press the button to blast a triple-dart burst. 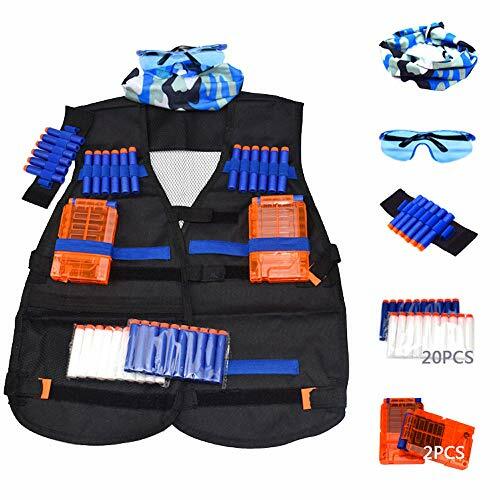 Bundle Package Includes: Nerf Modulus Mediator with Nerf Modulus Mediator Barrel. The Mediator core blaster fires 6 darts in a row with pump-action, clip-fed blasting. 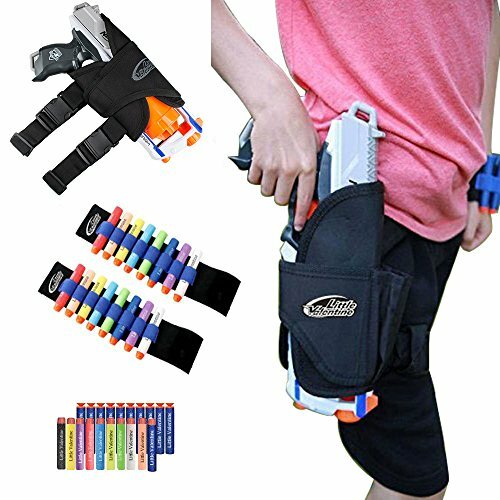 The clip loads into the side of the blaster and holds up to 6 Elite darts. Unleash all 6 darts rapidly with slam-fire action. Side and top tactical rails provide places to add Nerf Modulus accessories for more customizing options. Kids can upgrade their firepower when they attach the Modulus Mediator Barrel. The barrel converts to blaster that features pressurized 3-dart blasting. 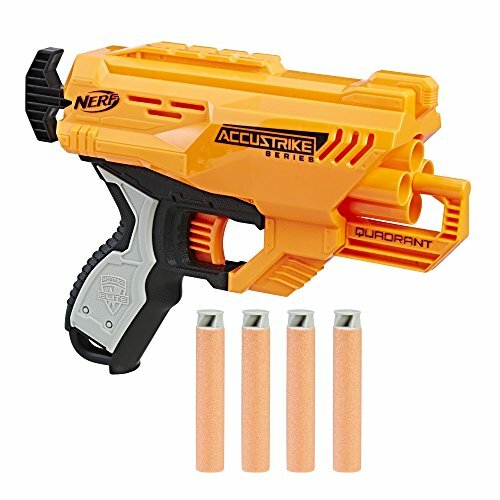 Flip the handle to go from barrel to blaster, pump to prime the blaster, then press the button to blast a triple-dart burst. Comes with 3 Modulus Elite darts.